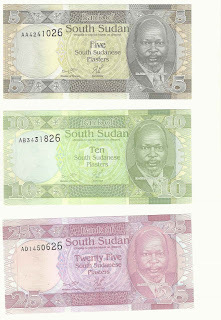 UNC Rare South Sudan Piaster SET includes 5, 10, & 25p available and going at great price. 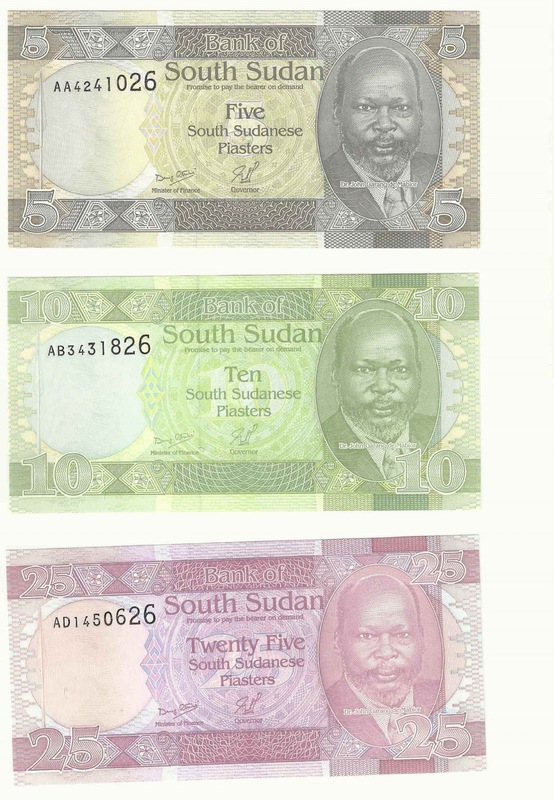 The notes are unique because these are not issued to the general public of South Sudan, plus the last 2 digits on all three banknotes are identical. Contact me by email for further information to build your collection on South Sudan.